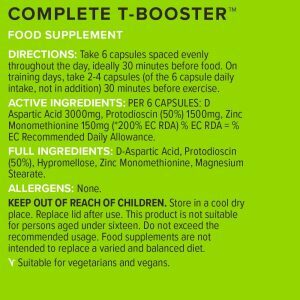 At a glance, Complete T-Booster by Bulk Powders ticks a lot of boxes. 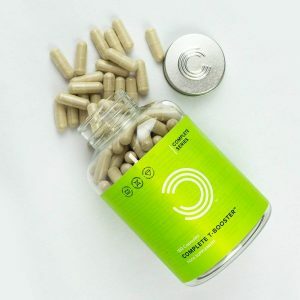 It promises to help maintain testosterone levels throughout intense exercise and boasts “a combination of research-proven ingredients in their purest and most potent formats; all of which have been included due to their synergistic effects.” And it only has three ingredients… exciting stuff. One of two forms of the amino acid aspartic acid (the other being L-Aspartate), D-Aspartic Acid boosts fertility, has been shown to increase testosterone levels of infertile men, and has also demonstrated evidence of temporarily boosting testosterone in healthy men too. The theory behind D-Aspartic Acid (DAA) is a debated one. DAA increases a protein called the steroidogenic acute regulatory protein (StAR) which is responsible for the transportation of cholesterol into cells mitochondria. It is thought that this movement of cholesterol could raise levels of testosterone, luteinizing hormone, growth hormone and progesterone. Luteinising hormone promotes the production of testosterone in the testicles, growth hormone interacts positively with testosterone in energy and protein metabolism, and progesterone is a precursor to testosterone. Which all sounds great, and there’s little doubt that DAA can be a potent T-booster for anyone with a testosterone deficiency or older men whose natural levels may have declined. How effective it is for younger, healthy men in peak physical form, however, is up for debate. At a recommended dose of 3g per day to raise testosterone levels, Bulk Powders delivers exactly that. So far so good, just a shame it isn’t included in the superior form of DAA-CC (D-Aspartic Acid Calcium Chelate). Considering there are only three ingredients, this is a disappointing addition. Protodioscin, also known as Tribulus Terrestris and Puncturevine, is an herb used in Ayurveda — a system of alternative medicine originating in India. In Ayurveda it is believed to enhance male virility and has been claimed by many to increase testosterone and libido. Protodioscin has been highly researched and scrutinised. Advocates of the herb believe it raises levels of luteinising hormone, but despite numerous studies (such as this study on elite rugby players or this Bulgarian study into Tribulus Terrestris on young men) absolutely no benefits have been seen to testosterone levels or sport performance. It is, however, a potent libido and fertility enhancer. So, why is Protodioscin included in Bulk Powders Complete T-Booster? Is it because the research is being ignored or is it there to boost libido and deceive the unknowing consumer? Because hey, if my libido is pumped up my testosterone levels must be high too, right? Wrong. Of course, many men may not complain if their T-booster also gives them a boost in the bedroom. The dose of Protodioscin is another oddity. If we assume that the research on rats directly corelates with humans (hmm…), 5mg per kg bodyweight is the optimum dose to boost libido. So, we would need a pure Protodioscin dose of 430mg and at Bulk Powders’ 50% concentration we’d need 860mg. But they provide us with 1500mg, which seems needlessly huge. Shame. Bulk Powders could have used that additional space to include a genuine T-boosting ingredient that would strengthen this supplement’s power. Zinc is a great ingredient to see on the list, a well-known and well-researched testosterone boosting mineral. Supplementing with Zinc raises levels of luteinising hormone, which we all know promotes the production of testosterone. It also works down another pathway simultaneously, acting as an anti-aromatising agent. In other words, it reduces the amount of testosterone that aromatises into the ‘female hormone’ oestrogen, effectively maintaining T levels at normal in men with deficiencies, or throughout periods of exertion. 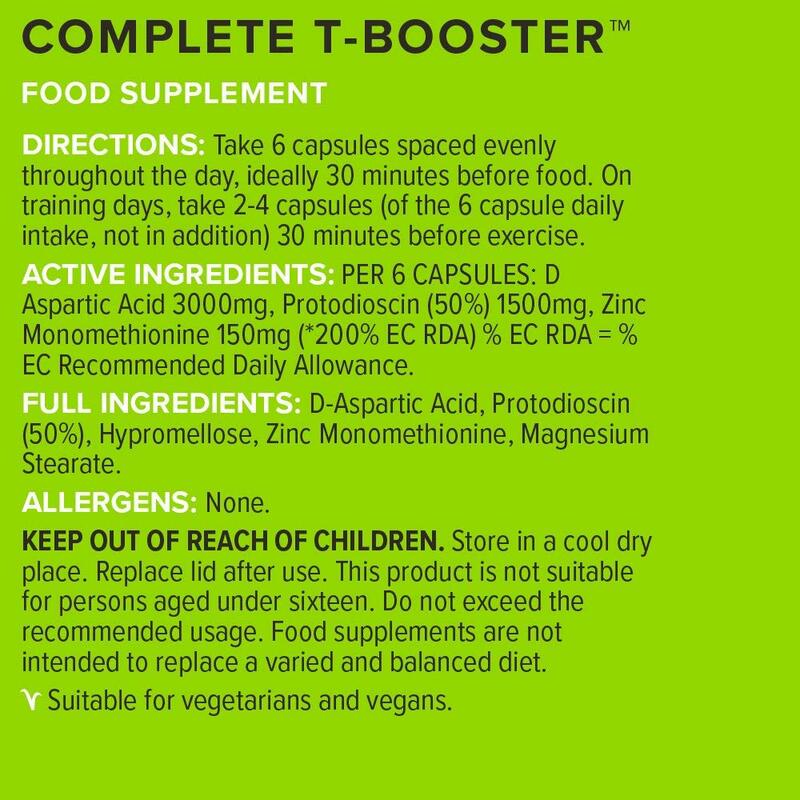 Another positive for Bulk Powders Complete T-Booster is the type of zinc. Zinc monomethionine is a high quality and easily absorbing form of zinc, which is great. 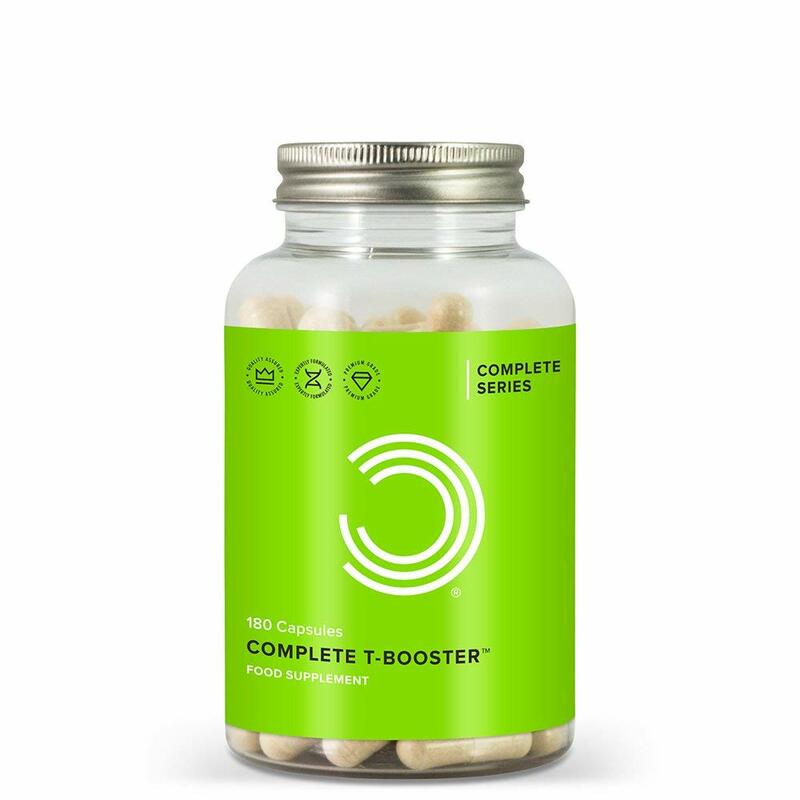 Complete T-Booster’s 150mg Monomethionine equates to 31.5mg of elemental zinc, which is just enough to boost testosterone after a drop from exhaustive exercise. But the upper limit for long term supplementation is 40mg so it could be a little higher. And hey, if Bulk Powders wasn’t so enamoured of its massive Protodioscin dose, there would have been plenty of room to do this. Optimal daily dose of D-Aspartic Acid — one of the most powerful T-boosting ingredients for men with low testosterone. 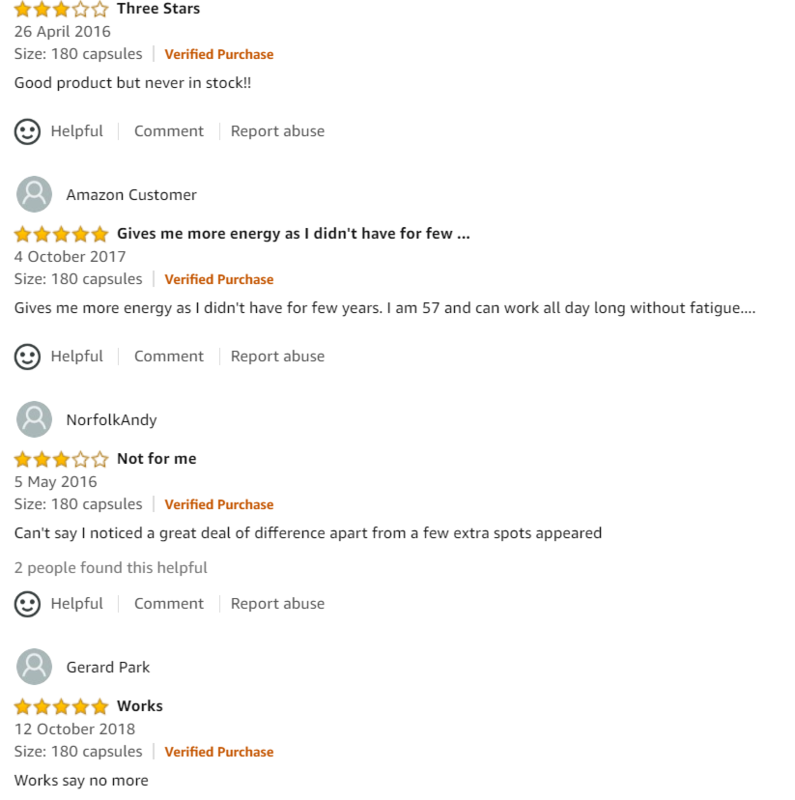 Mostly positive reviews on both Amazon UK and Bulkpowders.co.uk (granted, only the former is truly independent). All three ingredients are included in clinically effective dosages, though granted, it overdoes it a bit with the Protodioscin. Happy customers say that Bulk Powders Complete T-Booster gives them more energy for both working out and in daily life. It may also contribute to normal fertility and reproduction. It is GM, gluten, dairy, lactose and soya-free. The dose of zinc could be higher. Protodioscin doesn’t boost testosterone and may mislead consumers with raised libido. The stated synergy between D-Aspartic Acid and zinc is minimal due to low zinc dose. The price is high for the listed ingredients. 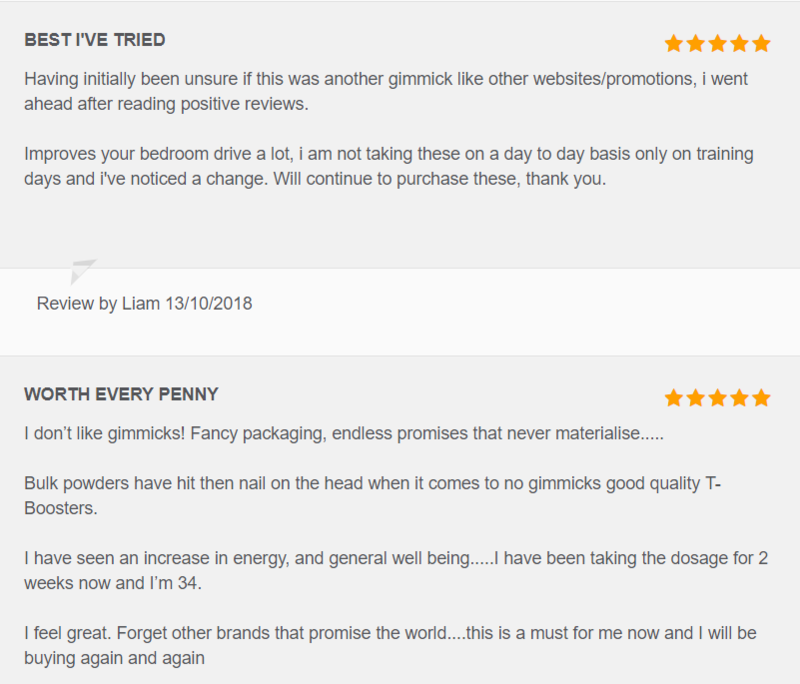 The Bulk Powders website includes 13 reviews of Complete T-Booster — all give it five stars. This may well be genuine, but the lack of anything less than five stars makes us a touch twitchy. The more independent Amazon UK, in contrast, has reviews ranging from five to three stars. You shouldn’t experience any side effects with any of these ingredients when following the correct instructions. Some people report stomach upset from the acidity of high doses of D-Aspartic Acid, but no side-effects were noted in studies of the same dose. Take six capsules spaced throughout the day at even intervals. Best consumed 30 minutes before food. On training days, 2-4 of the allotted six capsules should be taken 30 minutes before exercise. Bulk Powders recommends cycling its Complete T-Booster. Take for 4-8 weeks and stop for 4-8 weeks. Bulk Powders aims this product at athletes who train for strength and power who are looking to keep their blood testosterone levels normal. Given its ingredients, it may also be suitable for older men whose natural levels of testosterone have declined. Bulk Powders Complete T-Booster started out strong with its beasty 3g dose of D-Aspartic Acid, but that was where the excitement began and ended. Protodioscin has no side effects, increasing libido does no harm and it can improve the experience of using the product. But Complete T-Booster has only three ingredients and that leaves no room for fluff. This is at best, a wasted ingredient and at worst, misleading. Giving credit where it’s due, the zinc monomethionine was a good addition and it works well with the D-Aspartic Acid. However, considering the supplement should be cycled due to the DAA, a higher dose of zinc would be more effective for T-boosting. Cycling 3g of D-Aspartic Acid and supplementing with a moderate 150mg of zinc monomethionine will probably boost testosterone, but at £29.99 for 30 days, Bulk Powders Complete T-Booster nudges its way into the more expensive end of the market, especially for what you get. Considering buying Bulk Powders Complete T-Booster? Bulk Powders sell 100g of pure D-Aspartic acid for £7.99 and a great ZMA supplement with 30mg zinc for £14.99. You can buy Bulk Powders Complete T-Booster from the official Bulk Powders website or Amazon UK.